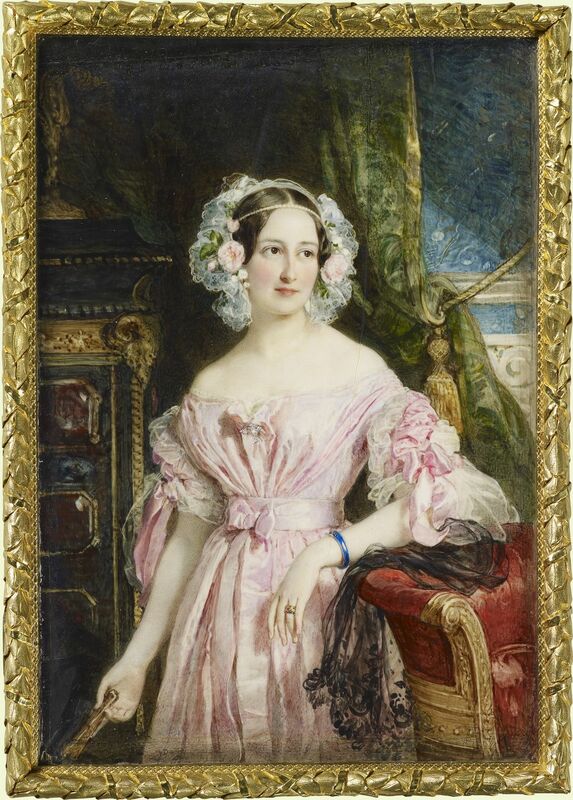 An early work of great assurance by William Ross, in which the artist has captured perfectly the reticent charm of his sitter, Feodora, Princess of Hohenlohe-Langenburg. 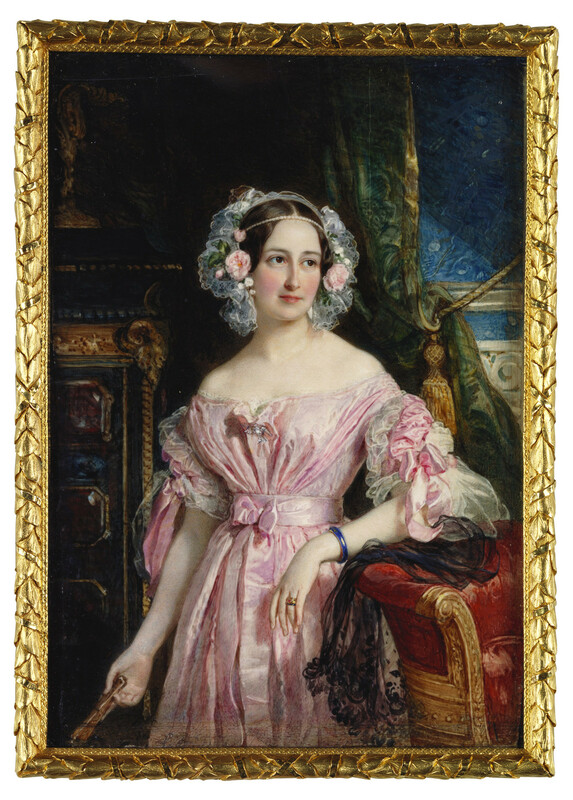 The dates of Princess Feodora's sittings with Ross are not recorded, but they must have taken place sometime during her visit to England to attend the Coronation of her half-sister, Queen Victoria, on 28 June 1838, and before 30 August 1838 when Queen Victoria noted that: 'Lord M.[elbourne] admired Ross's miniature of Feodore, early in the evening, which is beautiful and so like' (RA QVJ). She wrote to Princess Feodora that day: 'Ross' Picture arrived yesterday and is lovely, and so like, and such a treasure, it is a real blessing to have a very good likeness' (RA VIC/LB 63/11). The Queen missed her half-sister's company desperately after her departure 'for she used to come into my room very often in the day, and used to sit very often in my room writing her letters &c., and she was always so gay and cheerful' (RA QVJ: 20 August 1838). She placed the 'lovely miniature by Ross' in a prominent position on her writing table (RA QVJ: 17 September 1838). Signed and dated on the reverse in ink: London. 1838. / Painted by W. C. Ross / Miniature Painter / to / The Queen.